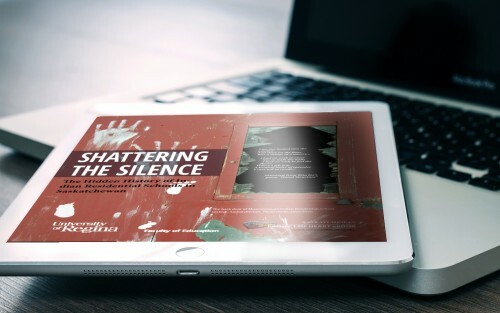 The Shattering the Silence: The Hidden History of Indian Residential Schools in Saskatchewan ebook is a Project of Heart Saskatchewan resource for teachers. This book extracts, reorganizes, and compiles the school-specific Saskatchewan elements of the NCTR reports and primary school documents as well as incorporating other resources and former student accounts that have been recorded and published online. It is an informative and accessible resource for teaching and learning about Indian residential schools in Saskatchewan.